These oversized durable foam sheets are great for arts and crafts projects. These sheets come in 10 assorted colors of easily cut, and glued foam sheets. Each sheet measures 12 x 18. .. The opportunities are endless with this brightly colored assorted pack of bleeding art tissue. Wet with a bit of water to create a tie dye effect, or use dry with glue to create beautiful tissue pa.. This 16 oz squeeze top Crayola finger paint bottle is the full package when it comes to children's finger paint! With a washable formula that completely cleans off paint from children's hands and m.. This package of bleeding art tissue paper that can be wet and used to create exciting artistic effects! This package of 10 assorted cool colors has a multitude of classroom and home art uses! Measu.. The opportunities are endless with this warm colored assorted pack of bleeding art tissue. Wet with a bit of water to create a tie dye effect, or use dry with glue to create beautiful tissue paper .. This high quality, blrightly colored construction paper cuts and folds cleanly, and isacid-free, lignin free, and light stable. The.. This high quality, brightly colored construction paper cuts and folds cleanly, and isacid-free, lignin free, and light stable. The .. This high quality construction paper cuts and folds cleanly, and isacid-free, lignin free, and light stable. The sizing allows it t.. This high quality, blrightly colored construction paper cuts and folds cleanly, and is acid-free, lignin free, and light stable. .. These strong and durable construction paper sheets are made to withstand glueing, coloring and folding for endless arts and crafts enjoyment. .. This high quality, blrightly colored construction paper cuts and folds cleanly, and isacid-free, lignin free, and light stable. The sizing allows it to hold paint and marker without .. This strong and durable 50 count pack of Light Green construction paper is well made to stand up to glueing, painting, coloring, folding and cutting for endless arts and crafts enjoyment! .. This strong and durable 50 count pack of construction paper is made to withstand glueing, coloring, painting and cutting for endless arts and crafts enjoyment! 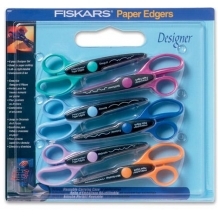 ..
Teachers and Moms alike will love these designer Fiskar Brand paper edgers. Spruce up an art or project with these 6 great styles! Pack includes; Seagull, Sunflower, Clouds, Colonial, Majestic, Wav.. 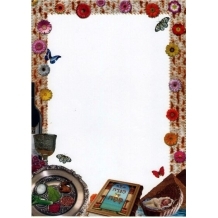 These Passover themed pages have a Passover themed border for a fun way to present Passover messages! Please note that these pages are not the regular size. They are 8.5 x 12 inches. Use A4 siz..
Package of project pages, Pesach themed. 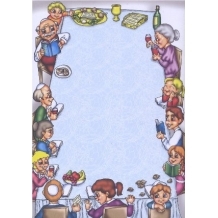 Graphics include a seder plate, haggadah, wine goblet, bordered by matza. Good for craft projects, announcements etc. Full color, 40 per package, A4 size. ..